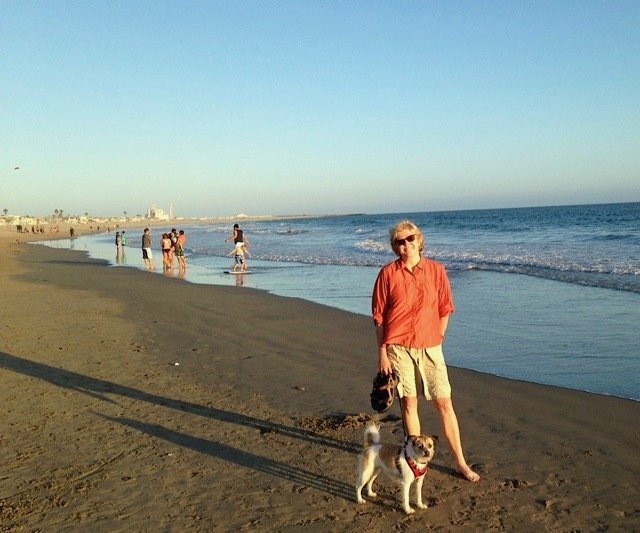 Thom and I are fortunate to be able to spend a month every summer in the coastal community of Ventura, California. As some of you know, where we live the majority of the year the temperature during the summer fluctuates between 110 and 120 degrees. Meanwhile, at the beach, we are able to relish the cool coastal breezes without air-conditioning. 2017 was our 7th year of escaping the heat, yet we constantly hear people say, “Oh, I sure wish we could do that.” Or, “ I’d give anything to do that.” But the truth is, most of those who could do it, won’t. That’s because in many cases they are attached to a big house and often a big lifestyle that keeps them stuck even when they say they’d prefer otherwise. With that in mind, I came up with ten reasons why we all might want to reconsider owning a too-big house, and instead embrace a more rightsized life. 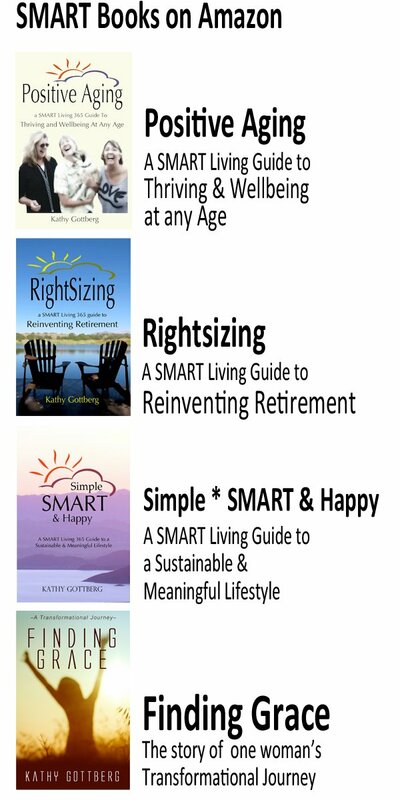 Those of you who have read my book, Rightsizing—A SMART Living Guide to Reinventing Retirement know that eight years ago Thom and I made a significant choice. At the time we were living in our “dream home.” Okay, maybe not the biggest house we’d ever dreamed of, but one that was much larger with four bedrooms, three bathrooms, a three-car garage, and lovely landscaped yard with a pool and spa. The bathroom was as big as the bedroom with a walk-in shower and a large Jacuzzi tub. It was the nicest (and most expensive home) we’d ever lived in up until that time. Fortunately, the loan against it wasn’t a burden, but with taxes and insurance, it was over $2K a month just to live there. 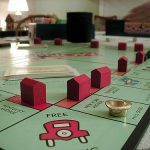 However, after watching real estate prices skyrocket in 2005 and 2006 we stopped and asked ourselves, “What is going on—and how can this possibly be sustainable?” We knew dozens of people making far less income than us who continued to buy bigger and more expensive homes all around us like there was no end in sight. With our real estate background, we spotted the train wreck enough in advance to know it could not last. Eventually, we put our house on the market and prepared for the inevitable downslide in the market. Fast forward 8 years and we now believe that shift was the best thing that could have happened to us. Recognizing that even though we thought we wanted and deserved that nice bigger home, we didn’t really need it that much at all. Plus, we now clearly see that taking the time to come to some deeper understanding about what really mattered to us both, we could freely choose what was “right” for us. From there I came up with ten realizations we found on our road to rightsizing. 1) If all you see around you are big and expensive homes, you think you need (and want) one too. Once we had a buyer for our former home we began looking around for another home to buy. The problem is, even though we had realized we didn’t need as much space, most of the homes we viewed were at least as large as the home we sold. Like most other people, we were looking in areas and at homes that felt “familiar.” What’s the saying, “If you’re a hammer, everything looks like a nail?” Same with houses. Eventually, we started looking in neighborhoods we never considered before and at floor plans much smaller than we originally thought we needed. Not only did we learn to love our current neighborhood far more than the one before, we opened ourselves to other advantages we never even guessed we wanted. 2) We underestimated the freedom and luxury of having a free and clear home. My generation was raised accepting the fact that in order to buy a home you needed a mortgage. Anything else seems out of reach. 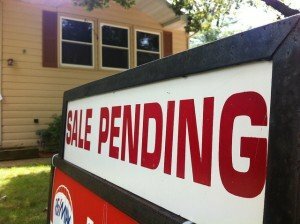 We now know that the reason it seems so out of reach is that most people keep moving up to more expensive homes with bigger mortgages—because that is what everyone else seems to be doing—and banks are more than happy to comply. When we decided to scale the size and price of our home downwards and use our equity from our former home to buy a home free and clear, we hit the jackpot. Thinking of a home purchase as a “forever-home” that you can eventually own free and clear is a new way to view the process. 3) Most of us underestimate the cost of living in a big home. It isn’t just the mortgage that costs money every single month—but it’s easy to forget that. I talk to people all the time who seem to ignore all the other expenses. For example, when we ask people, “how much is your electric bill in the summer?” Many people give a vague answer or simply don’t know. If you take the time to sit down and actually budget the upkeep, maintenance and added costs of a large home, you will likely surprise yourself. Then imagine what you can do with that money instead—like maybe rent a summer beach house to get out of the heat? 4) A majority of people buy a home on emotion—not as an aware choice. One of the largest purchases that most people make is their home. Yet, when the time comes to buy most don’t spend much time shopping for it at all. I’d bet that the majority buy a home after viewing less than ten homes in advance. Then they make an offer after walking through a house in 15 minutes! Instead of being patient and viewing lots of homes over a period of time (the market changes constantly) people get emotionally attached and buy the first one that makes them feel good. Far better to do your homework before even shopping and consider your true needs and budget. And if you now find yourself in a too-big or not-right home, sell it and then move on to one that is rightsized for your family. 5) Other people actually judge our home and us far less than we think they do. When we sold our bigger and more expensive home we did have a few family members ask, “Are you guys okay?” But honestly, most people could have cared less. Besides, if people are more interested in where you live and how impressive your home is, then perhaps they aren’t really “friends” after all. And while I know lots of people say they don’t care what others think about the size of their home or lifestyle, far too many people still make choices that say they do. If you bought a home to impress someone else or yourself at the time, but it doesn’t fit your budget, your needs or the current direction of your life, it may be time to let it go. 6) Most of us need less than we think we do. After we sold our larger home we thought it would be ideal to have two-thirds of what we had before. Instead, when we finally located the house in the neighborhood we wanted, it was nearly ½ as large. You know what? Seven years later I can’t imagine living in a bigger home. The actual size doesn’t matter. Finding one that fits you and your family perfectly is rightsized. 7) Always consider the luxuries of a small home over a big one. One of my perks for having a smaller home is that I have house cleaners every two weeks. Sure it is an added expense that not everyone can afford, but for me it is a luxury that I appreciate. Meanwhile, I have a friend with a home three times as large as mine and she cleans her own home. I wouldn’t trade with her for a second. Plus, as I mentioned above, ever since rightsizing our life, Thom and I have rented a home at the beach and the home in the mountains for two months time every summer. We all make trade-offs. Just do your best to make trade-offs that provide us each with the best life possible. 8) Peace of mind is more important than extra space. When we first married Thom and I used to dream of acreage and a home with lots of space. Until you’ve done it, and realized the money, time and emotion required to care for a place with lots of space it might be hard to understand. But once you own it, and realize the responsibility of living “large,” most of us buckle under the weight. If you find yourself in a too-big home with lots of maintenance, give yourself peace of mind by letting it go. 9) Spend time doing what you love rather than what you’re forced to do just to get by. Current statistics show that most people are spending 50% of their income on their home cost. Yikes! I get that some people are forced to pay for a place to live that is higher than they want, but choosing that when we have other options is not SMART. Sometimes it is necessary to find a new location (city or even state) that offers us a chance to have a life—not one chained to a monthly mortgage or rent payment we really can’t afford. Remember trade-offs! 10) Those who visit us really want to see us—not stay in a resort, or use our home as a cheap hotel. Sure it’s nice to have room for guests or loved ones to visit. But do we really need to put them up in a resort type environment to prove our love? Parents who live in a large home they do not need just in case the occasional child or grandchild might visit are setting themselves up for disappointment. 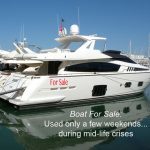 Besides, you can often save enough by rightsizing so you can visit them anytime you want or can even pay for a joint vacation that you all will enjoy. When you get together, you can be assured it’s because of mutual love, not convenience. 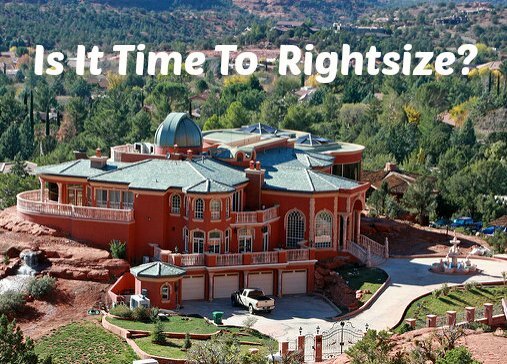 In the end, it isn’t the exact size of your house that makes it rightsized. What makes the difference is that it fits your needs right now—not who you used to be, or what you wish might be—but what’s happening in your life now. Sure I am still occasionally attracted to homes in certain locations and with amenities that my current home lacks. But all I have to do is remind myself that my current home fulfills so many of my right-now needs, and I return to feeling content. As I’ve said before, rightsizing is never about sacrifice. Instead, it is choosing what matters most at any particular time of life. Once we start listing the benefits of such a move, the decision to let go of that too-big house is a lot easier, not to mention SMART. Great article, and something my wife and I are thinking more about these days. We have a beautiful home with a 180 degree ocean view in Laguna Beach where we’ve lived for > 18 years, but are seriously considering rightsizing soon to something with a price tag that would be 7 figures lower. Since we’re considering retiring to AZ, I have also considered a way to spend only a few of the hottest months of the year on the pacific coast. By the way, it’s killing me to know, is the cover picture for your article that mansion across the road from the Chapel of the Holy Cross in Sedona, AZ? I’ve only been to that chapel once, a few years ago, but I remember seeing a house across the street that was a distinctive rust color stucco and had too much “gingerbread” architectural details on it…just like this one! Hi Matt! My husband I live in La Quinta (down near Palm Springs) so we know the “urge” to get cool during the summer. But honestly, with all the money you are saving you can likely buy a quite nice home in AZ and then just rent (like we do) along the coast for 2 or 3 months during the summer. We figure with how much we save we can rent something quite nice. It is definitely something to consider. 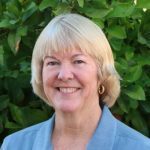 Hi, Kathy – Like many of your other readers, they key for me is ensuring that our home fits our needs right now… and recognizing when it no longer fits. For my husband and me, this includes not only our amount of living space but our location as well. Many retirees that we know remain in the big city where they have always been. This often means that they continually need to sacrifice other things that they would really like at this point in their lives. Your blog is an excellent source to help us reexamine the living choices that we make. Thanks for sharing this. We downsized 17 years ago while still working and have never regretted it. In fact both husband and I agree that, beside getting together in the first place, that it’s the best thing we ever did! I never thought I would stay in the same small house for almost 30 years. Since we had room to add on, we did two years ago which gave us a master bedroom with room for my home office, more space, the “family room” turned back into a garage, a new deck, and satisfaction that this is my forever home of 1200 square feet. If we ever hit the road in 10 years when truly retired, we can rent this home–4 blocks from a park/pool/community center, 1 block from a school. This post is important for Boomers to read, rightsizing is a key component to happy retirement! As I said in my blog post last month, we’re beginning to rightsize. But five years ago was really when the change happened. We rented, then bought, a park model (trailer) in a 55+ RV resort in Tucson. We live happily in 620 square feet from November to May. We have only what we need there, not what we’ve accumulated over the last 22 years in our big house. Now Goodwill is getting all kinds of stuff from us, and I can already see the difference. When the time is right to change houses, we’ll be more ready. The key sentence for me was finding a home to fit my needs now, not what they were or what I wish them to be. I’m in process of rightsizing, letting go of my 5 acres and 3 bedroom house. It’s just me and the animals, and the horse and burro will go to my goddaughter’s house where she is young and into having them on acreage – her rightsize, but no longer mine. I’ll miss my land, but not the house. I am looking forward to something smaller in a more urban setting that will give me more time and energy to finally do the things I’ve yearned to do for many years. AS a recent right-sizer (last year we sold our 5-bedroom house that we owned for 43 years and where we raised our two children and entertained our grandchildren), I could add one more reason [or maybe just reword one of yours]:The upbeat energy that comes from a change in lifestyle. we moved from the suburbs to a more urban setting where we can walk to restaurants, the movies, shops, the library. we are down to one car. but even if it isn’t a radical change in lifestyle, there’s apositive energy from just doing the same old-same old, letting inertia cloud decisions. And, like you, we were surprised at home expensive it had been to stay in our home–even though our mortgage was paid off. There are different ways to be financially secure. One is by making a ton of money, but another (easier) way is by reducing your outgo. Some of our family members choose to live in coastal Orange County, and they’re struggling, but for one-fourth the cost, I live in a nice home in Hemet on a golf course. In the evening we get coastal breezes, and it cools down. We can open up the house even on summer nights, 90% of the time anyway. Nothing is perfect. This comes close. Thanks for your empowering posts. You make excellent points here Kathy! The upkeep maintenance on a home, the utilities and the taxes are all huge things to consider. 29 years ago we built our home. At that time we did not think this would be our forever home, but having a small home on one level and a yard big enough for our gardening fun, we became happy and I don’t see us moving. The yard and gardens as we age can go back to lawn or low maintenance landscape, but for now it is our piece of heaven. Kathy, Great article for us, confirming what we did in the last few years. We downsized to a decent size sailboat, so we can travel and explore. When we get a craving to be in a spacious home with pets and gardens, we housesit for others. It gives us the best of both worlds. Yes, we will go back to a small home someday, but we have really discovered that the more you have, the more you need to take care of. This is a great opportunity for us to be footloose in our early years of retirement! Kathy you are so right (as usual) so many of us get caught up in the bigger is better mindset and it certainly doesn’t lead to happiness. What I love is being mortgage free in a home we can manage that has enough space for our kids to visit, but is still cosy when there’s just the two of us. Everyone has different values and needs, but living well within your means takes a big load of your shoulders!